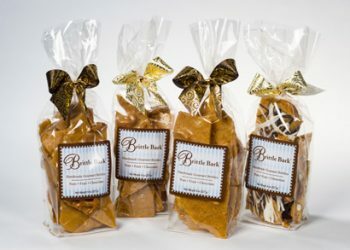 View cart “1 lb Poppin’ Time Brittle Bark Gable Box” has been added to your cart. 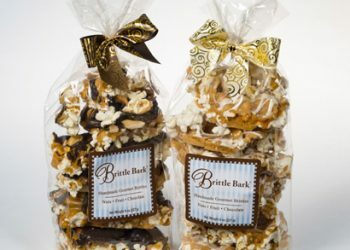 12 heavenly bites of freshly made caramel squares that are dipped in milk and dark chocolate and then topped with a flake of Cyprus Sea Salt. 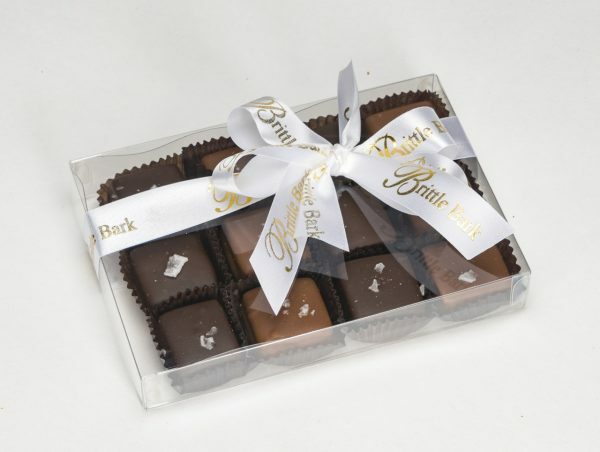 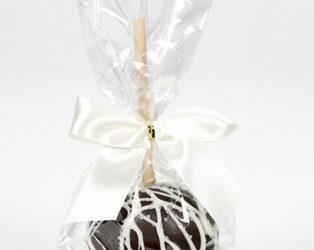 Choose Milk chocolate, Dark chocolate or mix both (6 pieces of milk and 6 pieces of dark). 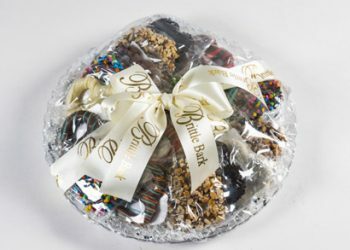 This lovely gift is tied with Brittle Bark ribbon and bow.